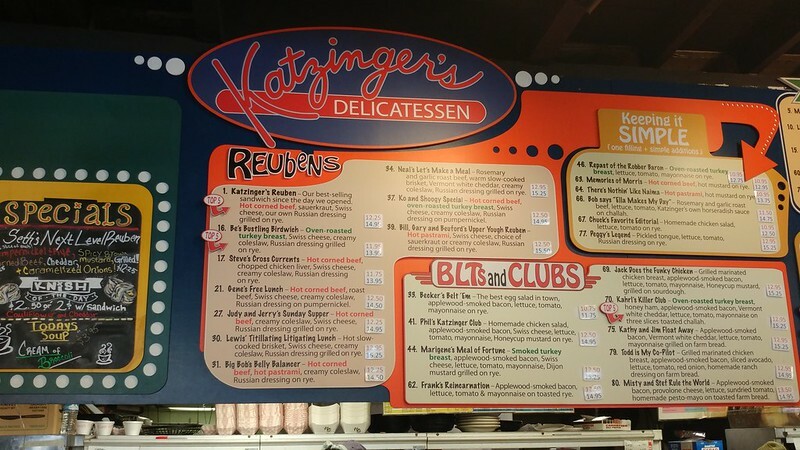 After we saw that an article in Mental Floss that proclaimed Katzinger's to be the most delicious Reuben sandwich in the United States, we had to go and try it out. We were there at lunch time, and it was super busy. 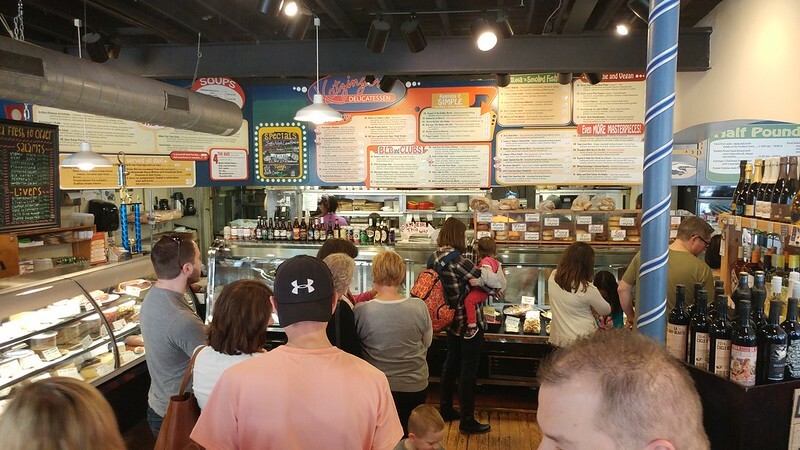 The line stretched from the cash register, along the counter and then out to the front door. 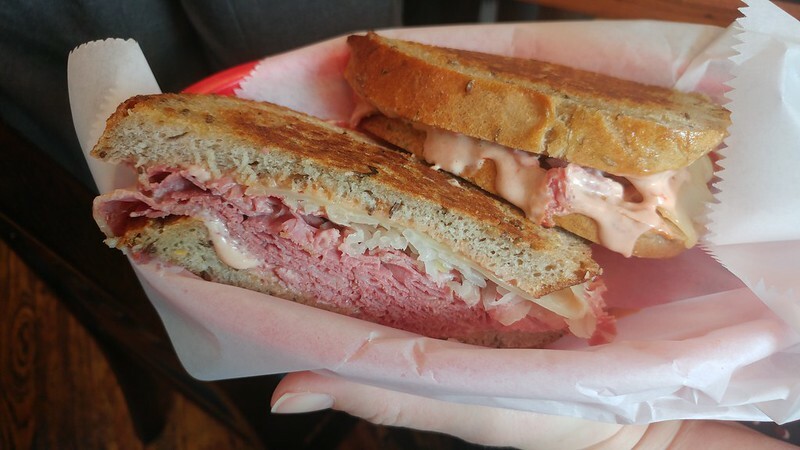 There are 10 variations on the Reuben sandwich that are offered on their menu board. The rye bread was truly remarkable. It had a great caraway taste and was nice and just the right amount of toastedness. The beef was great and everything else blended perfectly. 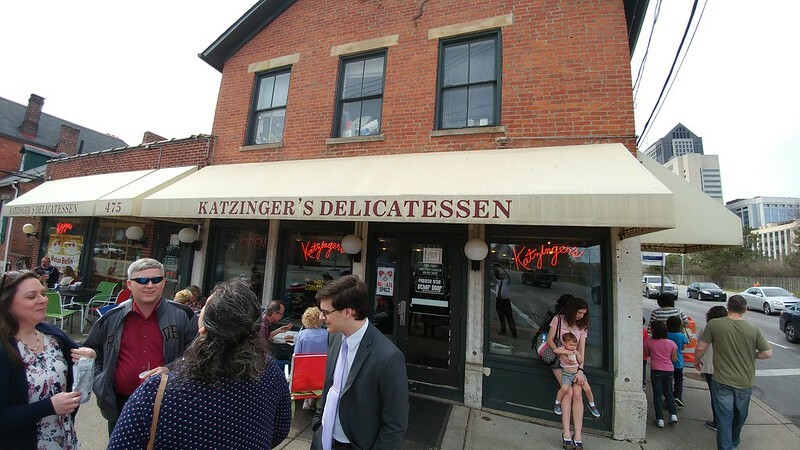 The place was so busy, I had to eat sitting on the ledge for the front window without a table to eat on.